Since he signed to Dagobert Böhm's Ozella Music, Norwegian pianist Helge Lien has reached a new artistic plateau with his trio. 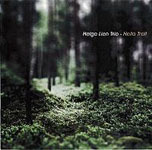 Hello Troll (Ozella, 2008) was an immediate success that showcased the group's lyricism and tight interplay and the spacious beauty of Natsukashii (Ozella, 2010) added new colors to a wide musical vocabulary rooted in the Nordic aesthetic. 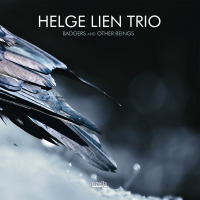 Badgers and Other Beings continues the trio's journey in sound and like the previous releases, it has been superbly sculpted by famous engineer Jan Erik Kongshaug in his Rainbow Studio in Oslo. However, there is a significant change. Drummer Knut Aalefjær, who has been with Lien for 13 years, has been replaced by Per Oddvar Johansen. In many ways, this signals a new era, just like it did when drummer Jorge Rossy left pianist Brad Mehldau's trio and was replaced by Jeff Ballard. But like the case of Mehldau, it is a matter of nuances and not a complete artistic transformation. There's still a sense of continuity, but of course, Oddvar Johansen, a highly skilled drummer who has played with pianist Christian Wallumrød and saxophonist Trygve Seim, brings something new to the table. The most important thing is that he is a dynamic drummer, who is able to navigate in complex situations and change between introspective and expressionistic approaches. He is a sophisticated player who doesn't make the obvious choice in a given situation. For instance, when Lien builds a powerful crescendo with minor chords on "The New Black" where Frode Berg's buzzing bass adds to the drama, Oddvar Johansen doesn't emphasize the mood with thundering strokes on the kit, but plays contrapuntally with understated swing and light splashes on the cymbals. It is a perfect way to build tension and avoid the threat of a bombastic musical statement. It is characteristic of Lien that he isn't afraid to move into highly emotional territory, but his great gift is that he avoids sticky pathos. Few pianists are able to write a composition about their mother without plunging into the depths of sentimentality, but Lien's bittersweet "Mor" ("Mother") balances the delicacy of a simple singing melody with a tinge of sadness, but most of all adds a warmth that reflects a love that is built like a gentle thread of memories. While it is true that Lien plays in the great tradition of the piano trio, the trio has its own sound. There's a specific Norwegian sensibility where the folk-melodies of classical composer Edvard Grieg echo through the hills and mountains. Lien's dictum seems to be that he should be able to sing his compositions. 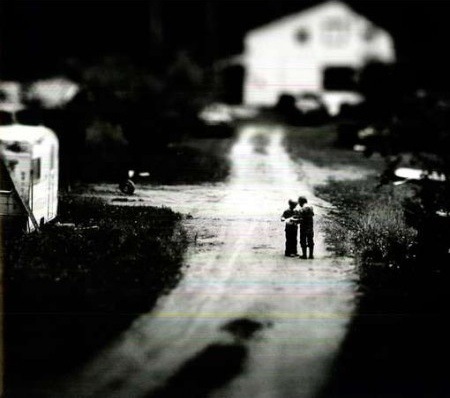 This is also the case with a pianist like Keith Jarrett, but whereas the collective unconscious of Jarrett is based on the blues and the standards, Lien's sound is born out of a tradition that is distinctly Nordic. This doesn't mean that he avoids inspiration from outside his country. He knows standards, he knows the blues. The trio even has its own take on calypso on "Calypso in Five," but here the warm sounds of the West Indies are also filtered through the sweet melancholy of the North. Underneath it all is a life-affirming rhythmic energy that confirms that Helge Lien's trio is here to stay and among the most exquisite proponents of the noble art of the piano trio. Badgers and Other Beings isn't the sound of a trio that has become tired, but rather the evidence of a group that has realized its enormous potential and is still hungry for more. Track Listing: Mor; Joe; Hoggormen; Hvalen; Folkmost; Early Bird; Knut; Calypso in Five; The New Black; Badger's Lullaby. Personnel: Helge Lien: piano; Frode Berg: bass, Per Oddvar Johansen: drums.